A worker cleans the graffiti off of the half wall in front of Homer Rainey Hall on Wednesday afternoon. 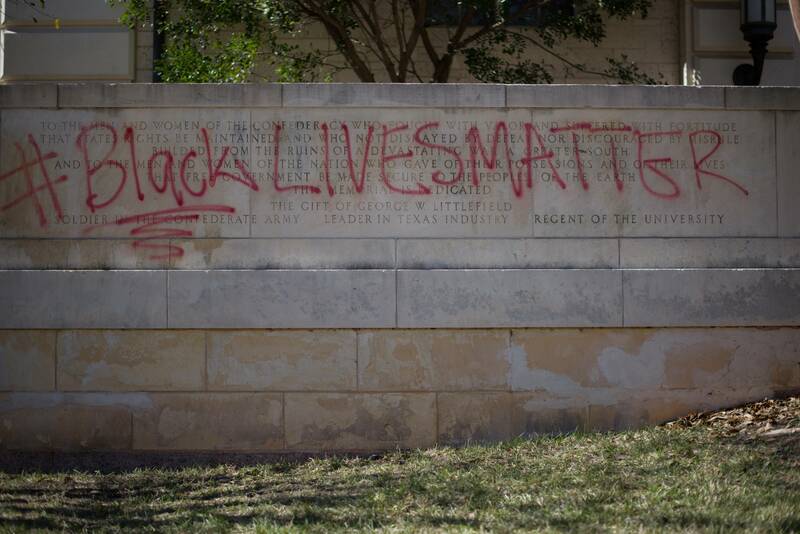 The graffiti appeared on the half wall in front of Homer Rainey Hall and on the statues of Albert Sidney Johnston, Robert E. Lee, John H. Reagan and James Stephen Hogg, according to UTPD spokeswoman Cindy Posey. The half wall and at least one of the statues was marked with "Black Lives Matter" written in red paint. The graffiti appeared after 17-year-old David Joseph was shot and killed during a confrontation with Austin Police Department officer Geoffrey Freeman on Monday morning. Posey said she did not have any information about who was responsible for the graffiti but that all of it was removed by Wednesday afternoon. “We’re still investigating at this time,” Posey said. The James Stephen Hogg statue was one of the areas graffitied on campus Wednesday. Journalism alumna Niki Nichols said she understands why someone would graffiti the areas. The half wall in front of Homer Rainey Hall, prior to being cleaned. Posey said she does not yet have a figure for the cost to remove the red marks. Corporate communications senior Chioma Nwosu said she thinks the #BlackLivesMatter movement is going to get a negative connotation if people continue to do this. 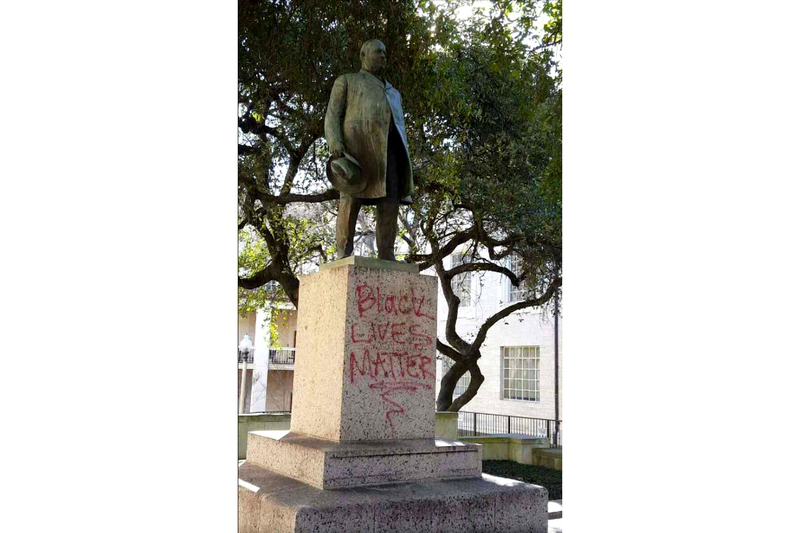 The statues of Robert E. Lee, Albert Sidney Johnston and Jefferson Davis were previously vandalized in June 2015 with the words "Black Lives Matter" in red spray paint. The Davis statue was removed on Aug. 30, 2015.